Click here for compatible bulb! 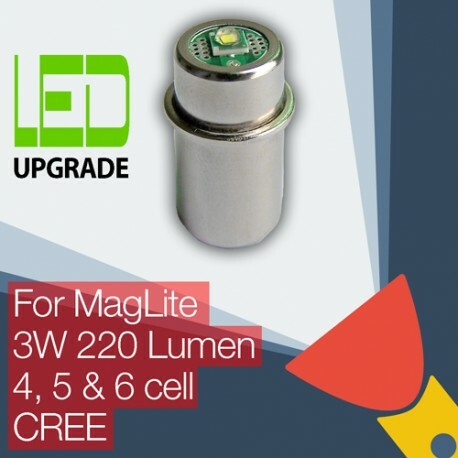 The upgraded Led Bulb on my Maglite 6D cell works well and it would surely give a longer battery life. Package received in good order; Thanks! Wat een opwaardering van m'n oude Maglite. 1 av 1 fant dette nyttig. 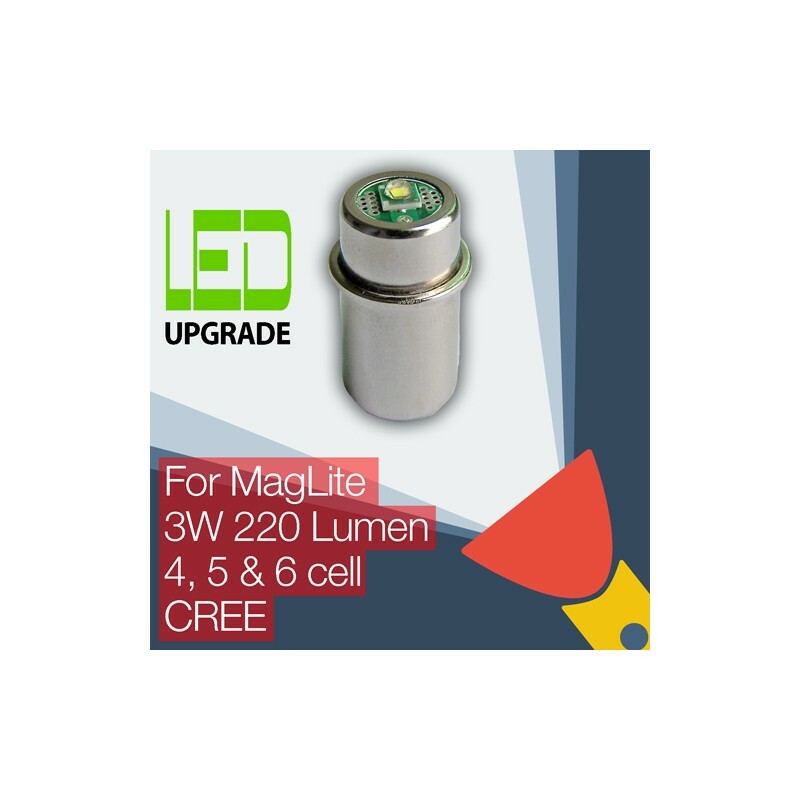 This bulb upgrade gave my 4-D Cell Mag-lite a new lease in life. Very bright and very sharp. Installation was a breeze. Thanks for the speedy shipment. Livraison rapide et bien emballé. Après montage de l’ampoule led ,une explosion de lumière ! Une mise à niveau moderne ! 0 av 1 fant dette nyttig. No regrets after receiving the product. Definitely using torchupgrades LED with a brighter view up front. Literally brilliant in both meanings of the word. Brilliant service - ordered on New Years Day, shipped the next, arrived within 48 hours. Brilliant product - brighter than the standard bulb and being LED it will hopefully stand up to bumps and knocks and last a lot longer than an Xenon bulb and be more reliable. Very pleased with my purchase. very happy with my upgrade for my 4 C cell maglight. easy to install. this will pay for itself in cost of other replacement bulbs and batteries.. must have for duty gear lights! value of having your light work when you need it in an emergency = priceless! Delivered quickly, easy to fit and shines brightly - much better than the old halogen lamp! Fantastic light improvement of the old 4D MagLite – recommendable, hence do not hesitate to upgrade your old MagLite torch. Very easy to navigate through TorchUpgrades.com homepage to find the correct Led bulb for your MagLite torch upgrade. Ceci représente vraiment un bon en avant dans l 'histoire des lampes torches !!! 1 av 2 fant dette nyttig. Received a prompt reply to my enquiry email and received both globes 5 days later. Gave new life to 2 favourite torches. Thank you for the excellent service. Excellent product. very easy to fit and works very well.Brilliant way of upgrading Mag-lite torch.